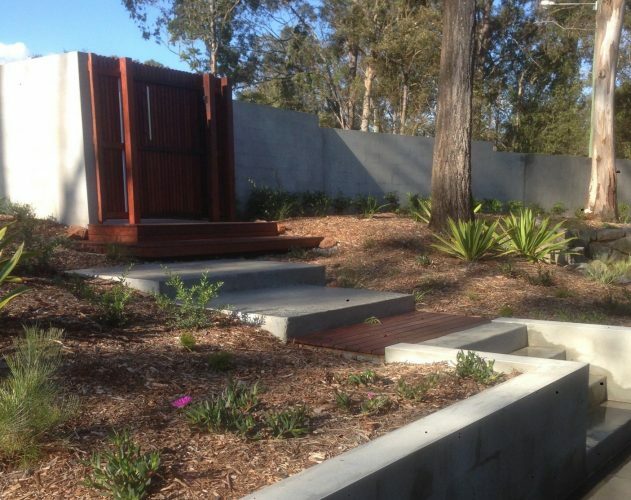 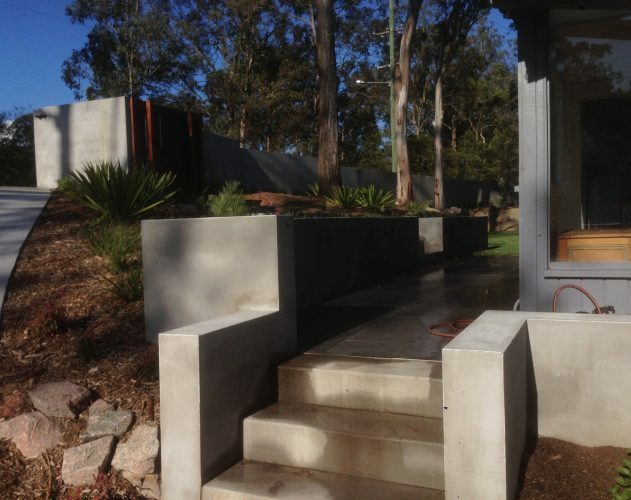 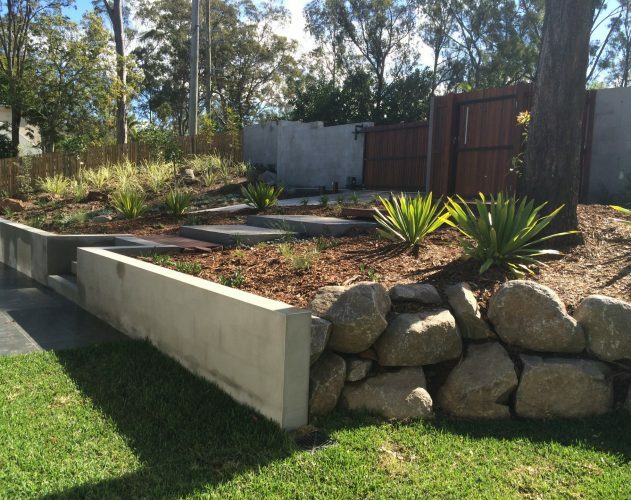 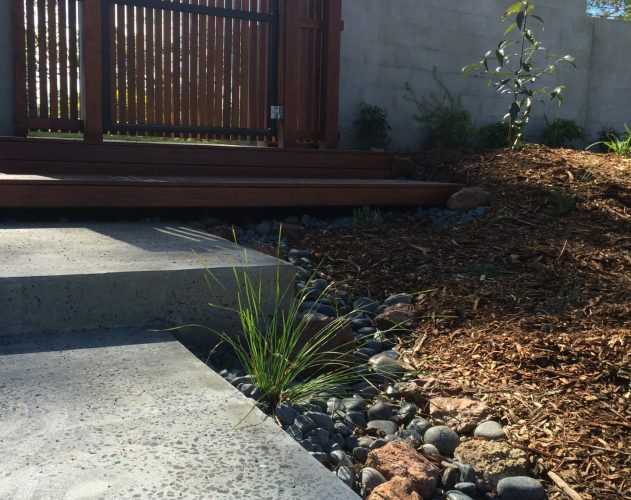 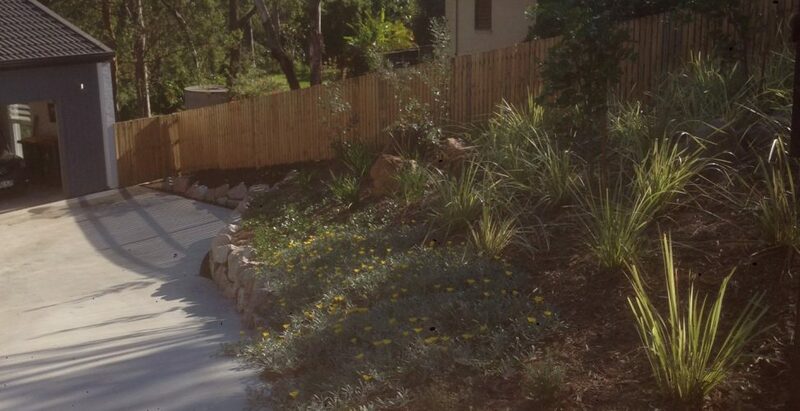 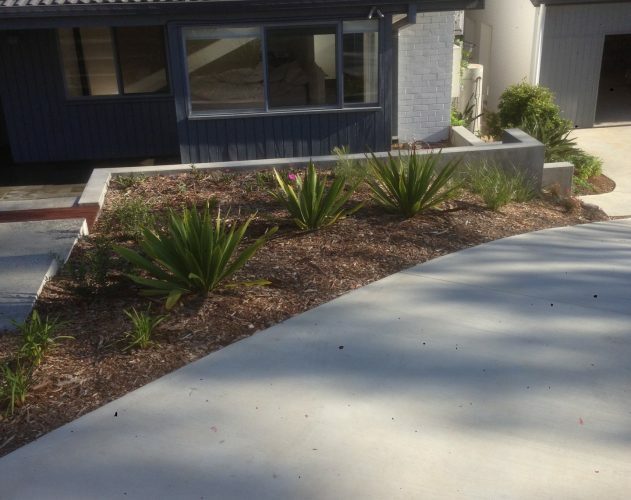 Looking around to the surrounding native bush land, it wasn’t hard to be inspired to transform a front garden into a welcoming and private space that could be inviting and functional. 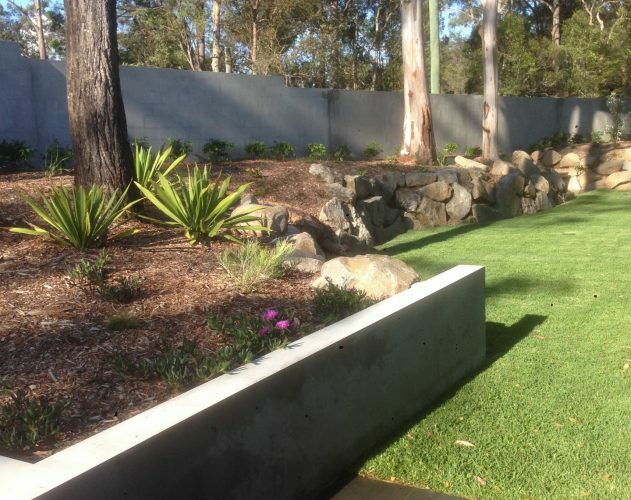 The design incorporates many of the native flora from the surrounding area, as well as the use of large boulders for retaining which is consistent with the rear of the property. 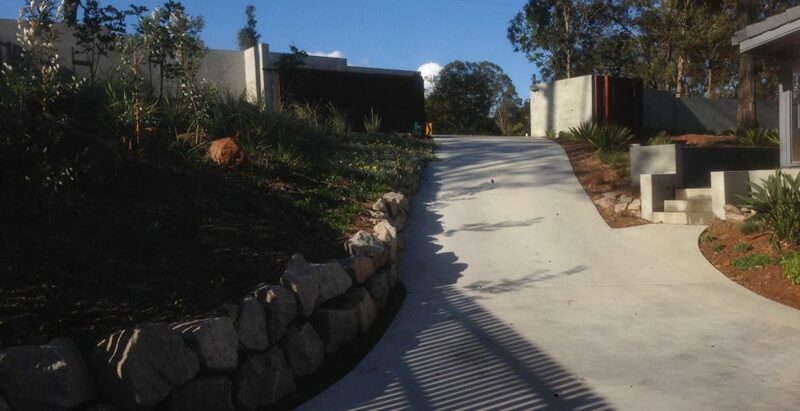 The use of natural materials like the rock, and inclusion of timber features for the fence and gate help to tie this family home back in with its natural surroundings.